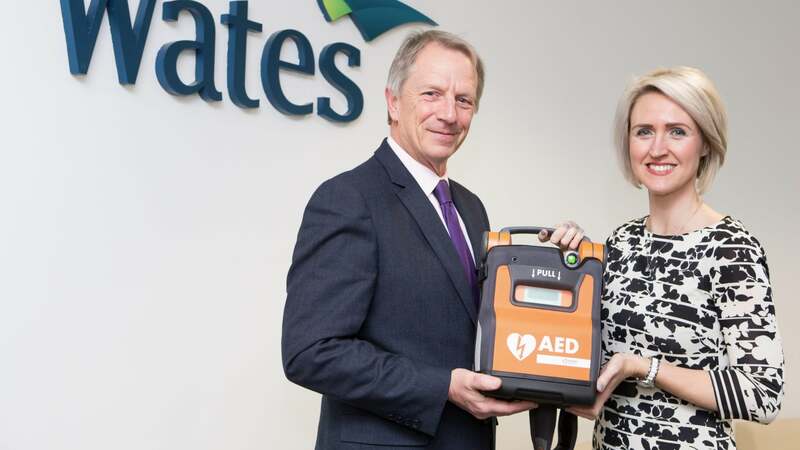 One of the largest privately-owned construction, development and property services companies in the UK, the Wates Group, has confirmed its commitment to the deployment of defibrillators throughout its organisation. From its UK HQ in Leatherhead, Surrey, the Wates Group will be partnering with leading manufacturers Cardiac Science to distribute Powerheart® G5 automated external defibrillator (AEDs) to help both experienced and first time rescuers to act quickly and confidently in the event of a sudden cardiac arrest (SCA) emergency. The Wates Group will also be taking advantage of Cardiac Science’s unique online learning modules – called CardiAcademy - which has a raft of resources to help employees increase their knowledge around SCAs and how to use the G5 AED technology with confidence. The partnership in the defibrillator scheme is part of Wates’ commitment to employee health and wellbeing and its Zero Harm strategy which calls on all employees to take responsibility for their own and others’ safety. The Powerheart® G5 defibrillators are the first AEDs to combine real-time rescuer cardiopulmonary resuscitation (CPR) guidance, customised patient therapy and fast shock times. Wates chose the Cardiac Science unit due to its innovative features, including the rigorous self-checking regime to ensure that each AED will perform to expectations in an emergency & the iCPR electrodes, which prompt effective chest compressions and depth, and variable escalating energy shock capacity.